Competitive swimming pools have come a long way since the London 1908 Olympics, when a 100m long pool was built inside the athletics track to cater for the swimming events! 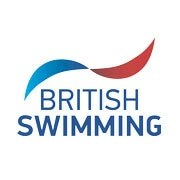 These days, swimming competitions in England are held in either 25m or 50m pools and are referred to as short course (25m) and long course (50m) competitions. While there are individual World and European Championships held for both long course and short course swimming, swimming at the Olympic Games and Paralympic Games – as well as the Commonwealth Games – is only contested in a long course 50m pool. In the English and British domestic calendar, most short course events take place between September and December – known as the ‘short course season’ – while long course events take place between January and August in the ‘long course season’. Records for short course swimming are usually quicker than for long course because swimmers turn more and are able to generate extra speed from these turns. The pool must be 50m long and 25m wide so it can be split into eight lanes of 2.5m with 2.5m space either side of the outside lanes. The pool must be at least 2m deep. The water temperature must be kept constant between 25°C and 28°C. This can be a challenge for some outdoor pools although the FINA World Championships have been held at outdoor pools in the past. The pool must have starting platforms, false start ropes and backstroke turn flags suspended 1.8m above the water surface and 5m away from the wall. The sides of the pool must be flush (consistently flat) at both ends. You can download the full pool guidelines from world governing body FINA’s website. What makes a swimming pool fast? You may hear competitive swimming pools described as being ‘fast’ or ‘slow’ but what are the features which affect pool speed? Pool floor – a constant, deep floor is best so any waves created underwater don’t bounce back to the surface of the water again. During the London 2012 Olympic Games, London Aquatics Centre was a constant depth of 3m. Pool edges – just as waves can bounce off the bottom of the pool, they will also slow you down if they bounce off the sides of a pool. For this reason, the fastest pools have level sides with water gutters so water from any surface waves is caught by these rather than bouncing back into the pool. Lane ropes – while their primary purpose is to mark out the lane, modern lane ropes play a big part in creating a fast pool environment. The plastic floats attached to the rope rotate when hit by waves, absorbing the energy which would otherwise carry into the next lane.